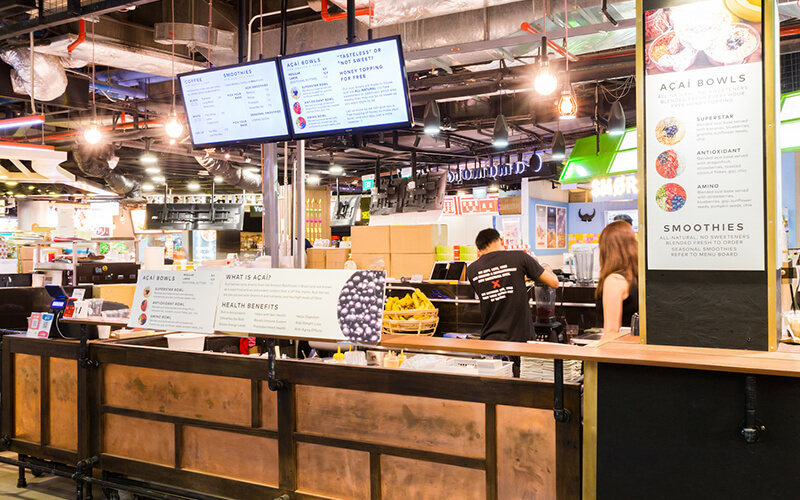 Valuing the significance of a healthy and nutritious meal, the team behind Ho-jiak has set-up Parallel to introduce acai bowls, acai smoothies, and Common Man Coffee Roasters speciality coffee to onlookers. Loaded with superfoods like berries, nut butter, seeds, organic raw honey, fruits, and more, sample its specialities of Superstar, Antioxidant, or Amino bowls for a meal packed with the essential nutrition of fibre, fatty acids, amino acids, and numerous health benefits. Find this health kiosk located in One Raffles Place.